The most amazing thing love can create is life. You might not always feel like it, but your pregnancy is one of the most beautiful times in your life. You’ll definitely want to capture this time in photographs that you and your child will cherish for years to come. This session has a make-up and hair stylist included! A little bit of heaven sent down to earth! 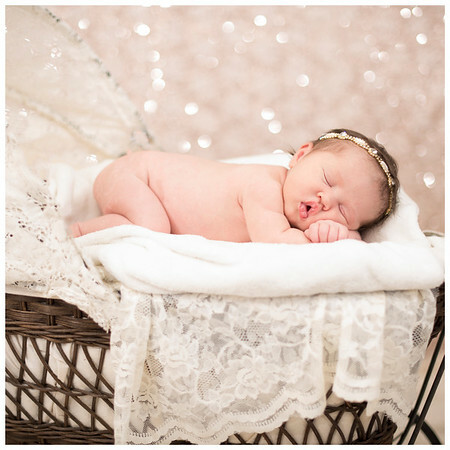 We will capture all the little details that make your bundle of joy so precious. All props and wardrobe are provided. 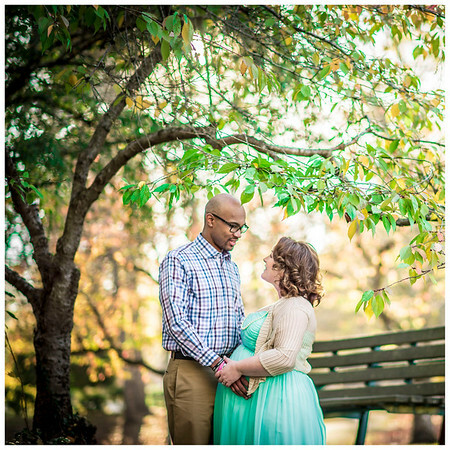 You may choose a studio or home location for your session. My oh my! 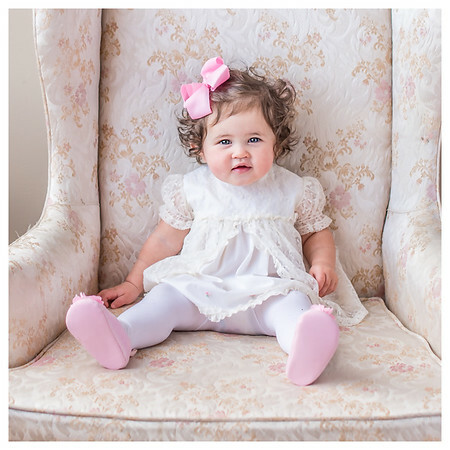 Your little one will have started to show some personality by the time he or she reaches their 3 month mark. We will be able to do poses on tummy, laying on back looking up, propped up in a soft chair or basket, and of course SMILE! SO many more new things are happening! That bundle of joy is getting bigger, and louder, and more fun to play with. We will be able to interact with toys, clapping, and looking for the camera. 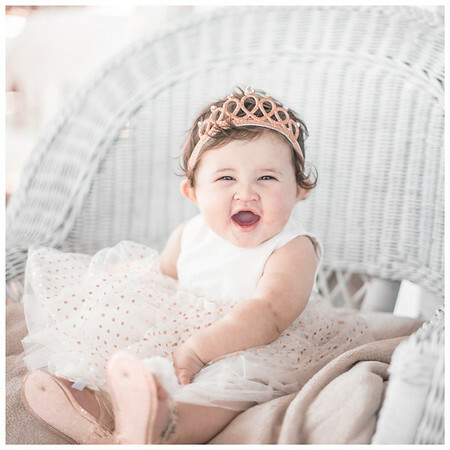 Your baby will be able to respond to his or her name as we direct to look and smile! Your little one may be on the go at this point! 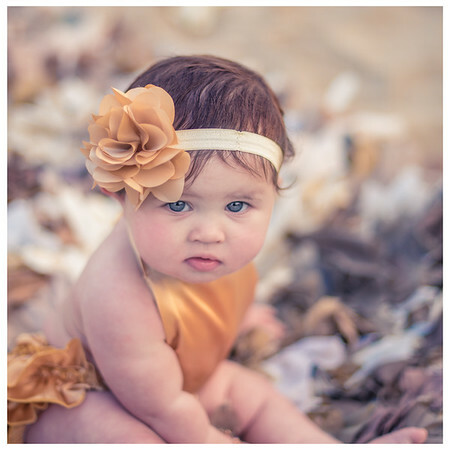 This session will be fun to capture crawling and standing while holding onto a secure prop. He or she will be very social and may even be able to wave and blow kisses! So darn cute! Happy Birthday! By this time I will probably be in denial that your itty bitty baby is already ONE! Time flies and even though you won't be able to have them stay small forever, you can still experience their greatest moments with all the wonderful photos we've captured in the last year. A cake with your theme is included! ALL sessions will be your choice of location and we can go as long as needed. If baby is not having a good day for session we can reschedule at your convenience and try again. Session galleries include photo download with print release. 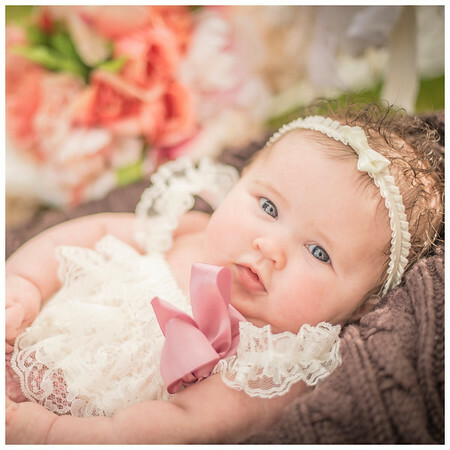 You will receive a 12x12 book filled with 20 pages of stunning professional photos of your baby's first year! 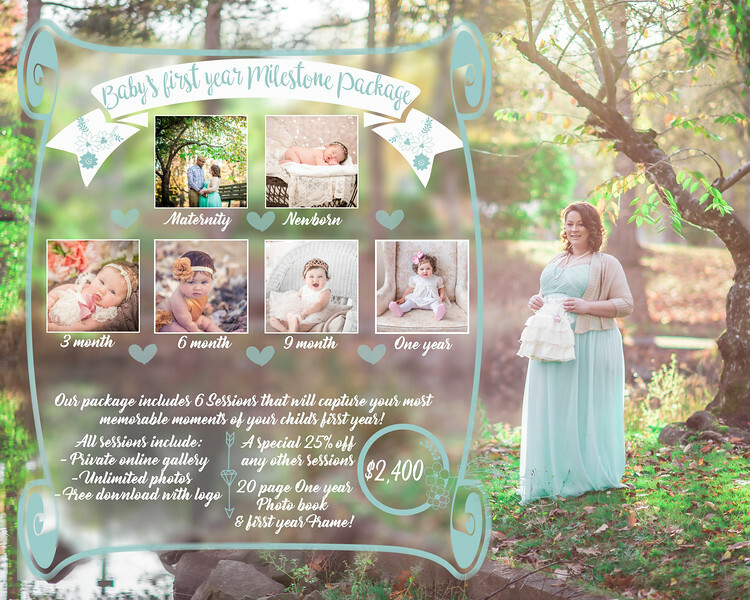 Not only will I see you for your milestone sessions, I will personally come visit every month to do a professional photo of your child to go into a Baby's first year photo frame, These will be mini sessions consisting of up to 30 minutes. 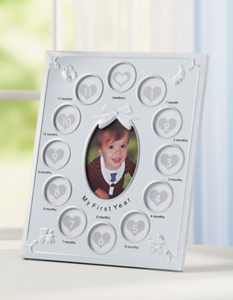 The frame is designed to hold a total of 13 images, this picture collage provides a lasting memento the whole family will cherish. The larger opening holds a 3"x 5" photo. Each of the smaller openings is suitable for a wallet-size picture. Metal. Overall, 11.5"H x 9"W. Extras are available for purchase!